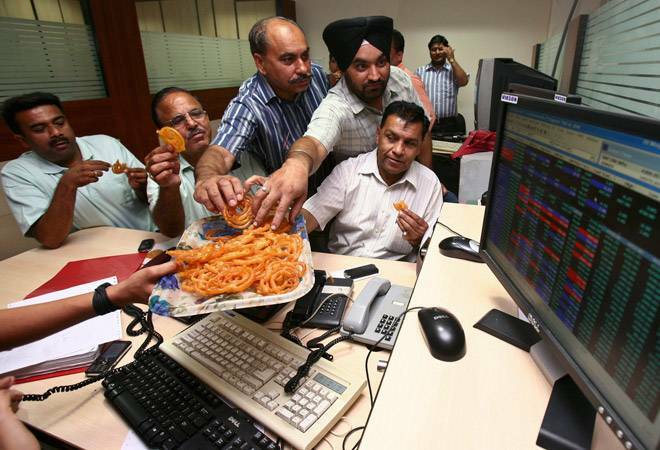 While the Sensex hit an all time high of 38,920, the Nifty touched new peak of 11,760. The Sensex has gained over 14% since the beginning of this year. The Nifty too has not been far behind. The index is up 11.50% since the beginning of 2018. The Sensex and Nifty closed at fresh peaks in trade today on gains in large cap stocks such as Vedanta, Adani Ports and Reliance Industries. The Sensex closed 202 points or 0.52% higher at 38,896 level, crossing 38,900 level for the first time in intra day trade. The Nifty which marked an all time high of 11,760 in intra day trade closed 46 points or 0.40% higher at 11,738 level. The rally was led by large cap stocks with midcap stocks sulking during the last two hours of trade. The BSE midcap index closed 59 points or 0.35% lower at 16,671 level. However, the small cap index gained 61 points to close at 17,043 level. Sameet Chavan, Chief Analyst, Technical and Derivatives at Angel Broking said, "Recently, our markets have been clearly outperforming the major global peers and now, since they have started rallying, it's acting as some kind of impetus for our market at least for the opening proceedings. We had a decent gap up opening today which was followed by extended gains in the initial trades. However, some profit booking was seen at higher levels and hence, during the remaining part of the day, index oscillated within a slender range to eventually conclude well above the 11700 mark." "Now, if we look at the further route map, we are not seeing any obstacle before 11900, which is the 161% reciprocal retracement of the previous down move. So no brainer, we would stick to our recent optimistic stance without thinking too much about the few overbought indicators. For the coming session, 11710 followed by 11650 would be seen as immediate support zone and on the upside, the psychological level of 11800 first and then 11900. Today's close is quite promising and stocks are gearing up for strong moves. Hence, one should focus on potential candidates within this basket in order to get better trading opportunities," Chavan said. Metal stocks closed higher with the BSE metals index gaining 1.89% or 252 points at 13,649 level. Vedanta (2.20%), Adani Ports (2.20%), Reliance Industries (2.06%) , Maruti (1.72%) , Axis Bank (1.62%) and HDFC (1.48%) were the top Sensex gainers. YES Bank (3.07%), SBI (1.07%) and HUL (1.04%) were the top Sensex losers. The Reliance Industries stock hit an all time high of 1323 level in trade today. The stock closed 2.06% or 26 points higher at 1318 level on the BSE. The stock was the volume topper among Sensex stocks logging Rs 63.54 crore worth of trade with 484,736 shares changing hands today. However, market breadth was negative with 1188 stocks closing higher compared to 1508 stocks ending in the red. Global shares were mostly higher Tuesday after the White House said it reached a preliminary agreement with Mexico on replacing a North American free-trade deal. France's CAC 40 rose 0.1 percent in early trading to 5,485.39, while Germany's DAX was up 0.2 percent at 12,561.44. Britain's FTSE 100 gained 0.7 percent to 7,630.36. U.S. shares were set to be flat with Dow futures virtually unchanged at 27,078. S&P 500 futures gained less than 0.1 percent to 2,899. Japan's benchmark Nikkei 225 finished at 22,813.47, up 0.1 percent. Australia's S&P/ASX 200 gained 0.6 percent to 6,304.70. South Korea's Kospi edged up 0.2 percent to 2,303.12. Hong Kong's Hang Seng added 0.2 percent to 28,333.14 after fluctuating throughout the day. The Shanghai Composite index inched down 0.1 percent to 2,777.98, adjusting from its gains the previous day. Asian economies generally benefit from trade deals that will encourage exports to the US. The Nasdaq composite index topped 8,000 for the first time after the North American Free Trade Agreement news, although the trade deal isn't final. The US still needs to reach an understanding with Canada, the third party in the accord.